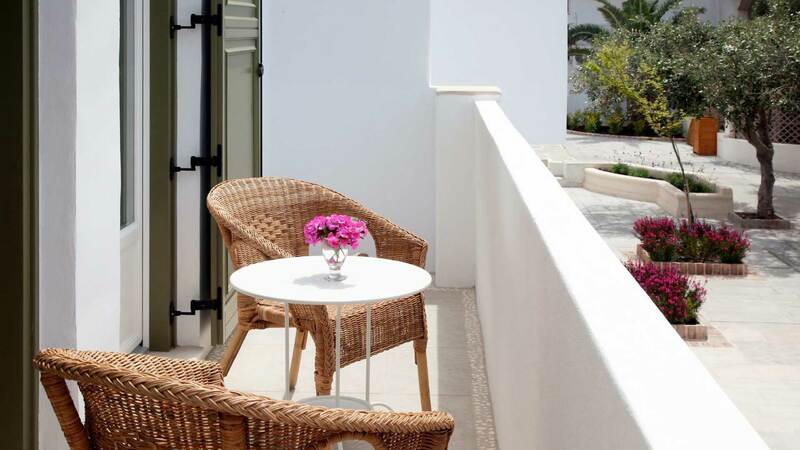 The stylish Kouneni Apartments are situated in an excellent location, right in the heart of the sun-drenched island of Mykonos. 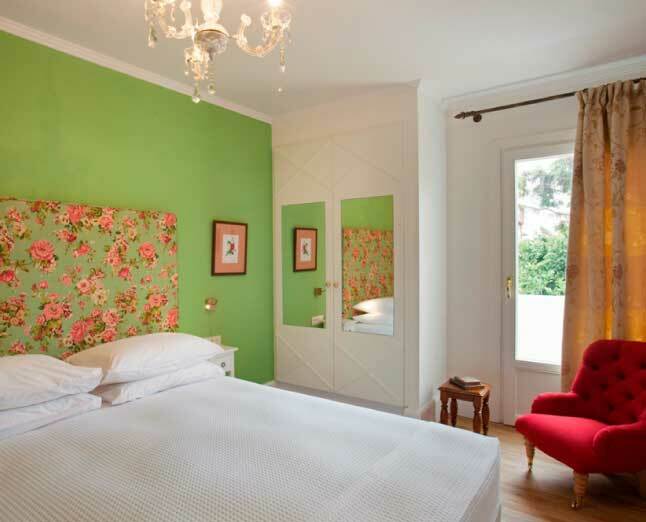 The English-style studios of Kouneni provide exceptional modern accommodation to worldwide guests since 1960. Just a few metres from the property, you will find the cobblestone lanes of Mykonos Town, the famous windmills, many traditional restaurants, stylish bars and local shops to explore. Kouneni Apartments offer elegant accommodation with modern furniture, kitchenette facilities, peaceful atmosphere and spectacular views to a beautiful garden. During your holidays in Mykonos stay in the Heart of Mykonos City and dive right in the most amazing beaches and popular landmarks of the island like Little Venice, Mykonos Windmills, Paraportiani and Mykonos Old Port. 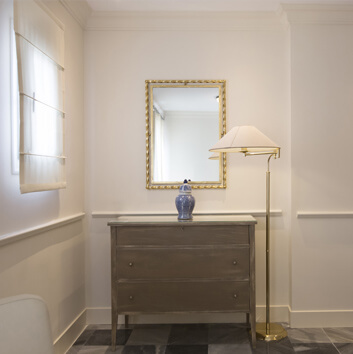 The unique hospitality, the wonderful architecture of Kouneni Apartments and their luxurious services, provide the best memories to the visitors. 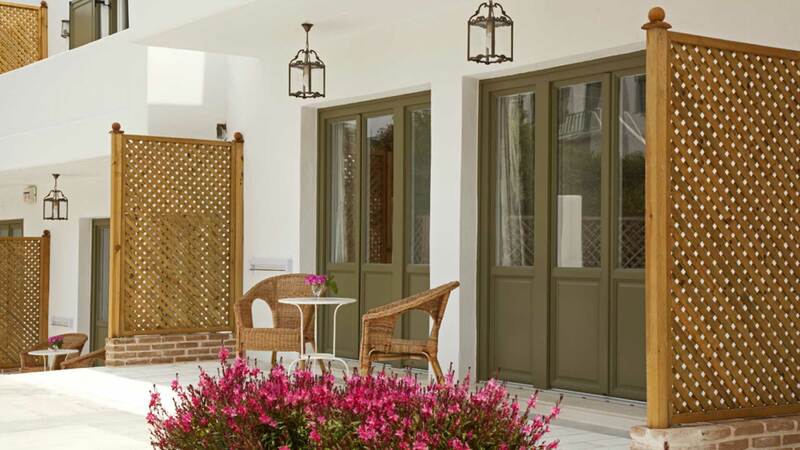 Experience the pure luxurious simplicity of the most beautiful island of Greece. Kouneni Apartments can guarantee that your accommodation in Mykonos will be spectacular and unforgettable. 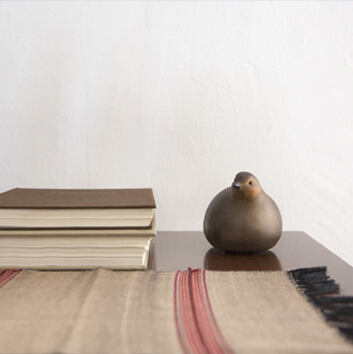 Kouneni was the very first modern private hotel in the history of Mykonos. Built in the 60’s by Andreas Londos, with unforgettable Alekos and Flora Kouneni, who hosted Greek and foreign famous and well-known friends of the island, politicians, intellectuals and artists from all over the world and was inseparably connected with the golden age of Mykonos. 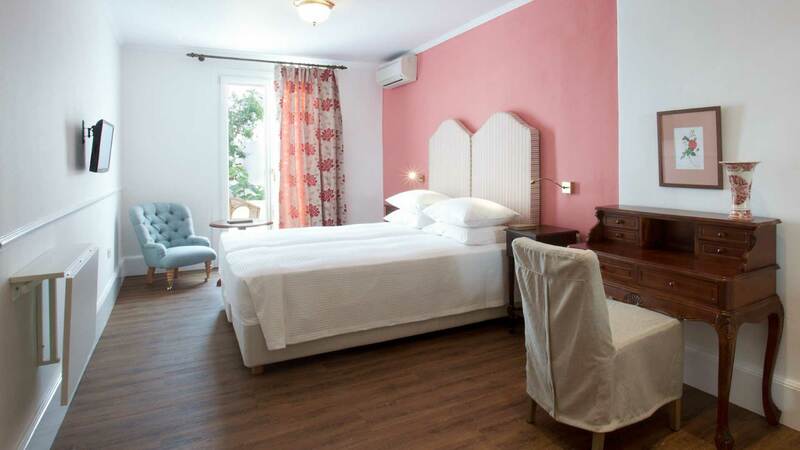 Nowadays, Kouneni is completely renovated, offering English-style furnished small studios, and continues now with Penelope Kouneni, with the same love, knowledge and care to offer its hospitality as ever. Kouneni’s one bedroom apartments (max. 2 persons) are fully equipped apartments and have an exceptional English-style decoration that can satisfy even the most demanding guests. All three of them offer visitors a luxurious stay. Experience the most unforgettable holidays in Mykonos. 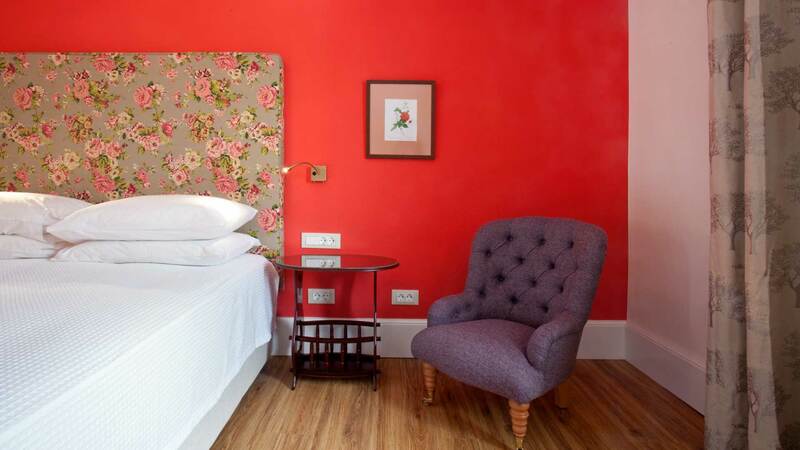 Kouneni’s two bedroom apartments are English-style furnished and can sleep 2-4 people. 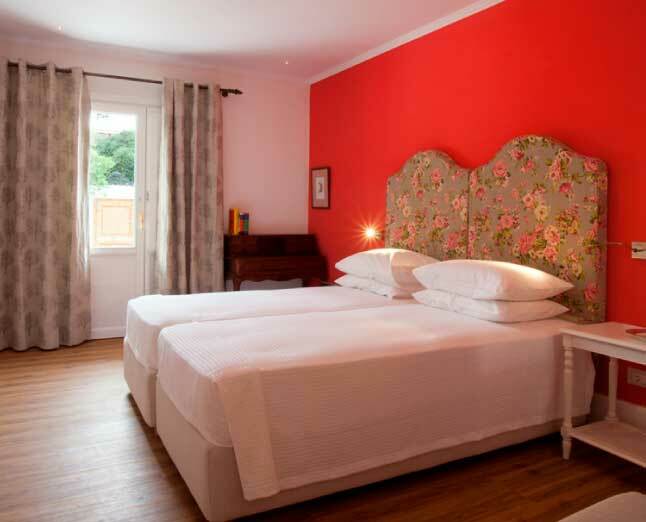 Kouneni boasts five charming and luxurious fully-equipped bedroom apartments that are fitted with wooden floors, decorated in bright colours and feature floral details and white-wooden comfy beds. 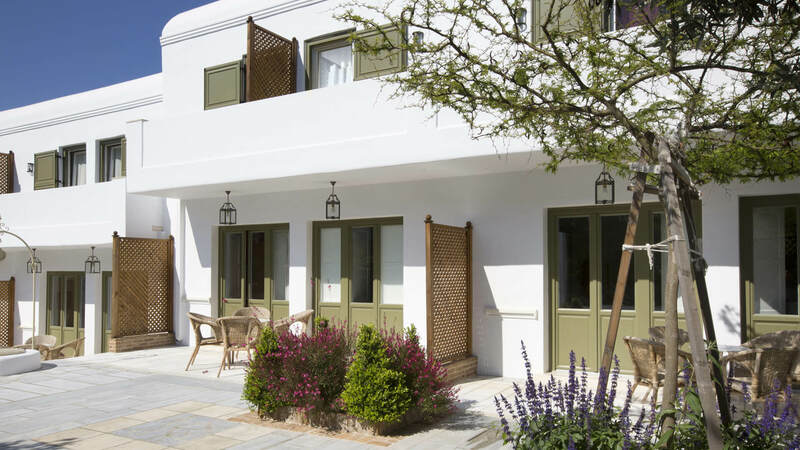 In close proximity to Kouneni Apartments are the charming Despotiko Boutique Hotel, located in the heart of Mykonos Town and the stylish Dorion Hotel, located at the picturesque beach of Ornos.